One of the features of American Experience’s documentary Death and the Civil War that I really like is its emphasis on the lingering bitterness over how to commemorate the Civil War dead. Although the film says nothing about the significance of Lincoln’s death it does explore the decision by the federal government to re-inter only Union dead in newly established national cemeteries. We would do well to remember this on the 150th anniversary of the battle of Antietam. One of the most frequent questions that I use to get from my students at the national cemetery in Fredericksburg was why it only included Union dead. I suspect that this question is ultimately a reflection of the power of reunion and reconciliation as well as the loss of any sense that our civil war was a rebellion. Newspaper and radio coverage today is long on vivid descriptions of the violence at Antietam and how that a victory allowed Lincoln to finally issue his Preliminary Emancipation Proclamation. That decision is almost always coupled with the observation that the turn toward emancipation made it possible to shift wartime goals in the direction of something meaningful. Over the past few days we’ve been told how important it is to remember, but surely we’ve lost sight of something significant about our history. No, I will not be spending the day re-fighting the Civil War, but as I’ve stated before on this blog I am not a disinterested observer. I am grateful that United States soldiers were successful in pushing back the Confederacy’s offensive into Maryland, not because it led to emancipation, but because it ultimately brought this country one step closer to winning the war. This is not meant to downplay the importance of emancipation, but as a reminder that the preservation of this nation mattered to these men, just as it matters to all of us today. It is a stance that reflects my identification not as a northerner or southerner, Republican or Democrat, but as a citizen of the United States. 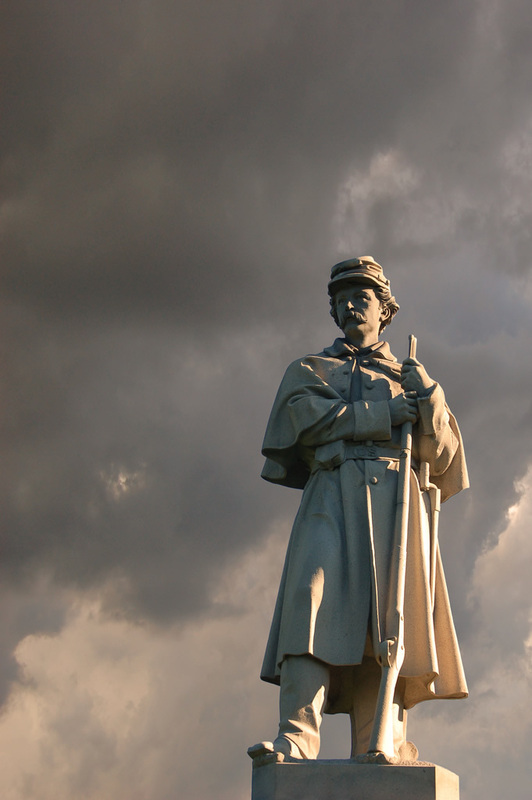 There is a reason why the overwhelming number of monuments on the Antietam battlefield were placed to honor the sacrifice of this nation’s citizen soldiers. The same holds for the dead who rest on the battlefield’s national cemetery. It should be a reminder to each of us today that the deaths of these men is part of a much larger history of men and women who have made the ultimate sacrifice for this country. Interesting. Have you read, by any chance, This Republic of Suffering: Death and the American Civil War by Drew Faust?